Sometimes it is not about starting from scratch, but rather revisiting past designs and making them better. The New Standard is simplicity at its best with a twist. Now new and improved. Inviting loose cushions all come together with tuned proportions and show stopping legs. Available in four fabrics, two leathers, two leg finishes and an array of shapes to suit any space. 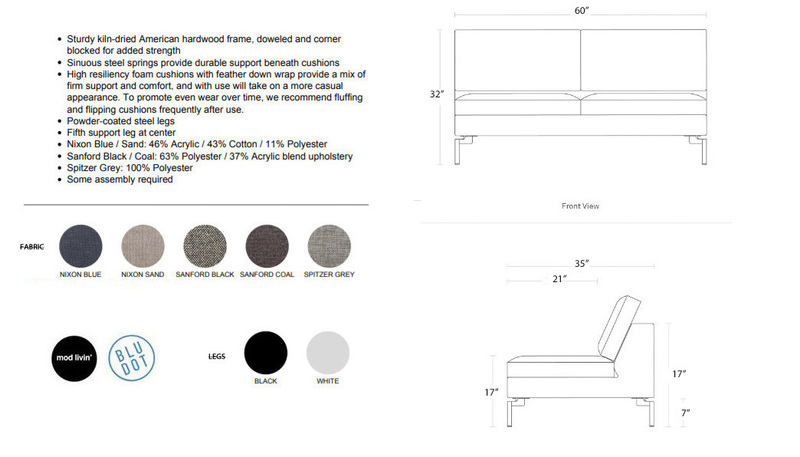 Also available as a modern leather loveseat in dark brown or granite leather.